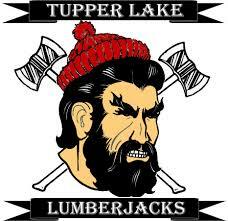 TUPPER LAKE CS - LEADING E.D.G.E. Please let us know if you have any questions or need any help with any of these activities. Project-Based Learning: Getting Ready for the School Year - Resources (Link) - This is a blog post with a number of great links in support of Project-Based Learning to help start the year on the right foot. The Critical Skills & Disposition - attributes (download) - A portion of the Critical Skills Classroom manual that lists some of the major critical skills and dispositions. If you are teaching 21st Century skills this is a great reference. Coat of Arms Activity (download) - An excellent activity to start building community in your classroom. Team Challenge (download) - This is a small group "team" challenge for building community in the classroom. It was designed for adults but can be easily modified for students. It takes up much less time than the "Coat of Arms Activity." A product quality check list is included. 17 Intentions of an effective constructivist (download) - From the book, Captivating Classes with Constructivism this handout is designed to see that a teacher nurtures students' social/emotional growth, ability to work collaboratively, and utilization of reflection for continuous improvement. The Leading E.D.G.E. Tool Bucket (download) - A glossary and descriptions of the activities, tools, and techniques used in the student-centered classroom. "Behaviors List" (download) - Bruce Bonney did a Skill Set construction activity with 7th Grade parents to help create a Critical Skills Report card. This handout, developed by parents, helped guide "targeted skills" selection for the year. Activities that open lines of communication and build relations with students (download) - A list of activities that can be found in the Critical Skills Community Building Manual that can be used instead of the activity used in today's workshop.